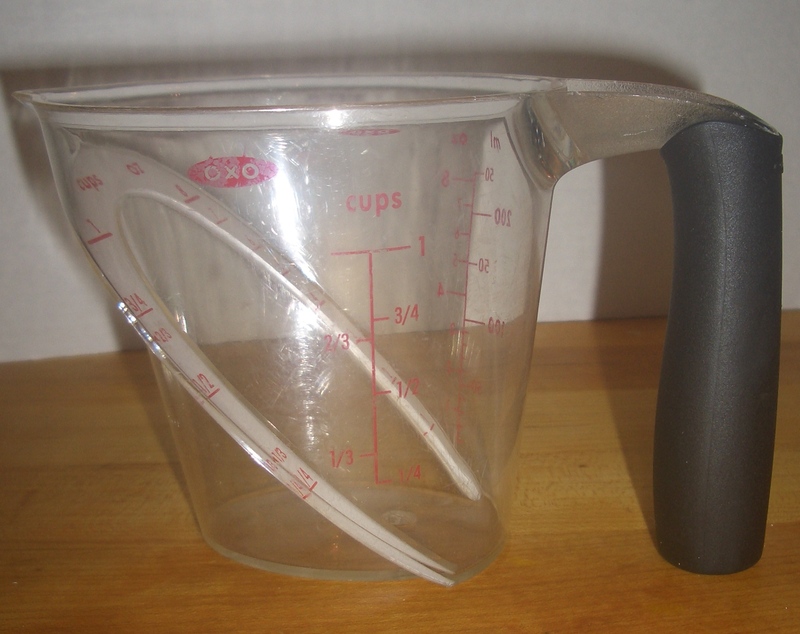 Have You Tried This Measuring Cup Yet? 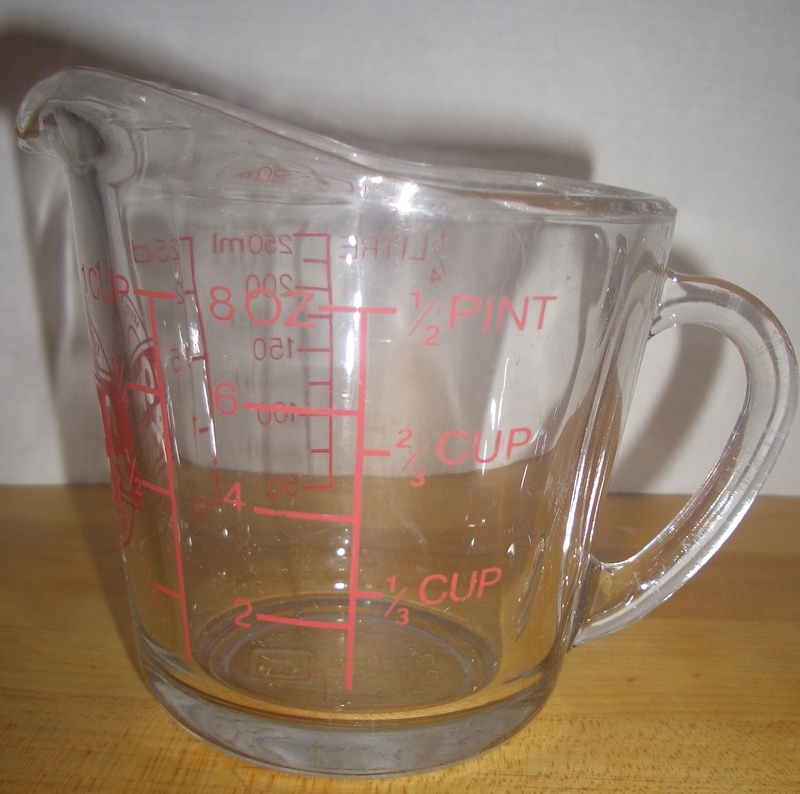 As a cookbook author I am a stickler for accurate measuring devices…and for using the right measuring cup for the designed ingredients. You might wonder why you need special measuring cups for liquids; can’t you just use the metal scoop-like ones you use for flour and sugar? 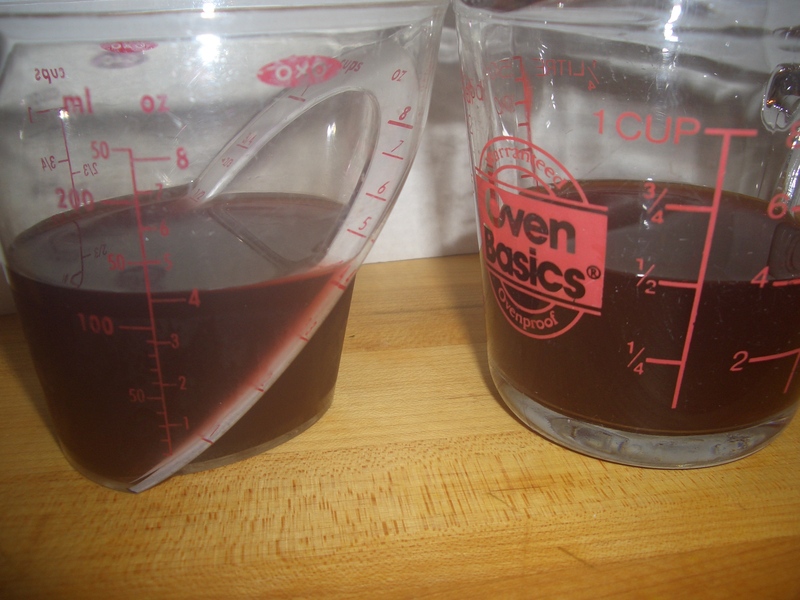 The answer is that the liquid and dry measuring cups do hold the same amount, but if you are measuring liquids in a dry measuring cup you must fill it to the tippy top and the problem is you will most likely spill some of the liquid on the way to the bowl or pot – making them less accurate than using the liquid measuring cups which are deep enough to prevent spillage and have a spout to make the pouring easier. You fill the cup to the proper line, but here’s the trick – you have to look at the cup at eye level or you won’t get the measurement right. 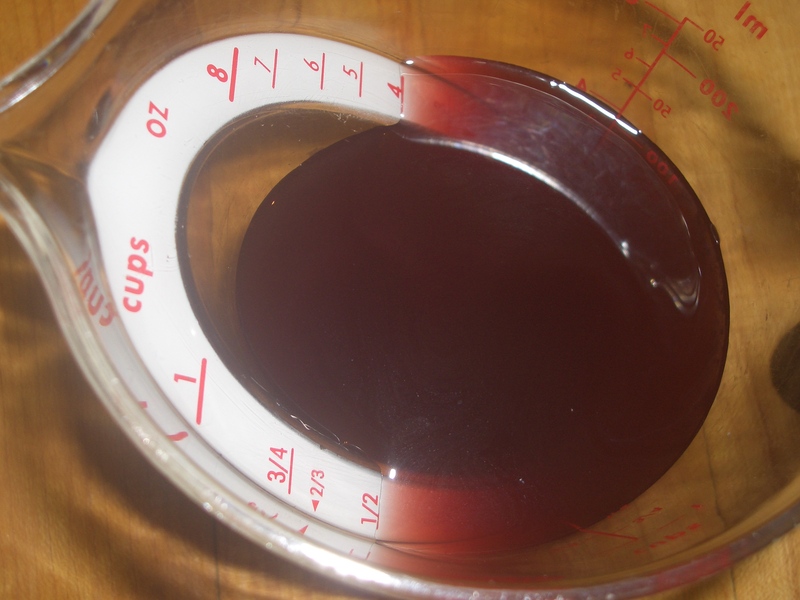 The angled measuring cup allows you to pour in the liquid and look down to see the proper measurement. Much easier than the old fashioned kind, they’re also lighter as they’re made of plastic and most of the traditional ones are made of glass. Both types are dishwasher safe. Though I have both types of measuring cups in my cabinet, I find myself reaching for the angled measuring cup much more often than the traditional one. I decided to try your post again. This the first time I have been able to see your post on Safari. YAY! Now I can get your recipes.